Mo’Unisa Vitalija Hayat is a DUP mentor-in-training and part of the Sufi Movement. She leads and accompanies the dances with guitar. Mo’Unisa Vitalija is a founding member of the Latvian Dances of Universal Peace Network http://dup-lv.webs.com/. Her special interest is leading Sufi zikrs. 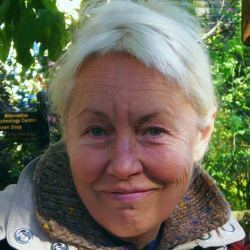 Mo’Unisa used to co-lead peace dance groups in Cambridge, London, Norwich, Oxford & St. Neots since 2006 with Ralph Nimmann; since 2012 she has been leading DUP in Todmorden and Hebden Bridge and twice a year a residential DUP weekend in London. Mo’Unisa is also leading DUP sessions in Latvia, including the Latvian Dancing Heart camps.